Please take a moment to check out this recovery guide authored by two of our Board Members. All proceeds from the purchase of this book go to the National Rehabilitation Hospital. Managing Brain Injury is a reader-friendly guide to help brain-injured patients, their families, and caregivers face the challenge of life following a brain injury. The book is part of a highly-regarded series of books on living with disability produced by National Rehabilitation Hospital. The brain injury experts at National Rehabilitation Hospital have drawn on their years of clinical experience to help patients and caregivers cope with the process of rehabilitation. It’s a realistic look at what patients and families can expect throughout the journey... Especially helpful are the personal stories of hope from men and women who have suffered brain injury, moved through the rehabilitative process and successfully rebuilt their lives. I applaud NRH for compiling such a critical resource. Preventing brain injury can spare individuals and their families from a life of hardship. 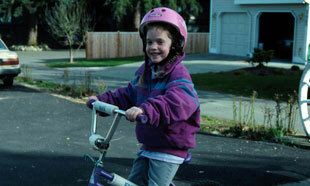 Taking precautions against slipping and falling and sports and transportation accidents is a positive step. The lasting results of a brain injury are internal – frequently leaving the person affected by brain injury with no outward signs of a disability. Hence it has been labeled “the invisible injury”. The United States Department of Health & Human Services, and the United States Department of Education have worked diligently to bring attention to traumatic brain injured individuals and the families who care for them. The TBI Act of 1996 authorizes DHHS agencies to conduct studies and establish innovative programs for TBI. Since the enactment of this act, the Center for Disease Control (CDC) and the National Institutes of Health (NIH) have conducted research to ameliorate the effects of TBI. There are many services and support resources available to individuals with brain injury and their families within the local Washington, DC area. This guide is under development and will be available on this web site in the future.